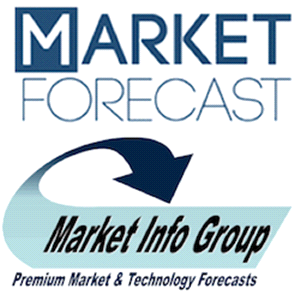 Market Forecast a subsidiary of ASD Media BV and a leader of aerospace & defense market research solutions and services, has completed its acquisition of the Market Info Group (MIG), a global creator of reliable and unbiased defense industry research reports and consulting services for more than 7 years. The Market Info Group businesses’ assets are being integrated with Market-Forecast.com, enabling existing services to be enhanced and creating huge new opportunities for clients of both services. "This is a great day for our company as we officially welcome the talented Market Info Group team to Market-Forecast.com,” said Stefan Koopman, one of the founders of ASD Media BV. "We are bringing together some of the industry's most trusted brands, allowing us to serve our global customer base with the best selection of reports, platforms, and custom services." The acquisition provides businesses, nonprofit organizations, and academia a source of comprehensive and authoritative market research for the aerospace and defense industry. Market-Forecast.com and Market Info Group products can be found in the offices of more than 90% of aerospace and defense Fortune 500 companies worldwide and in the libraries of top business schools and universities. The Market-Forecast.com business unit is led by Jol Hoeve, co-founder of ASD Media BV, and supported by both the Market Info Group content team and ASD Media BV’s sales and marketing management. "We are very pleased to merge Market Info Group’s deep content set with Market-Forecast.com’s sophisticated market research technologies," remarked Mr. Hoeve. "We feel that our clients will benefit greatly from the combined resources of our two organizations." "This deal brings new opportunities to further develop our intelligence services for our customers," Mr. Dijkstra added, IT specialist and one of three ASD Media founders. ASD Media is an online media company, based in Amsterdam, The Netherlands. We provide professionals in dedicated markets with news, intelligence, and interaction opportunities. Our roots are in the Aerospace and Defense markets. In 2001 we started with the Aerospace and Defence Network .com). Currently our main business activities are ASDReports, ASDEvents and Market Forecast. At ASDReports.com, you will find all the globally available market research and company reports from well-respected market research companies, all leaders in their field. Our team is a group of highly motivated people based in our head quarters in Amsterdam, supported by our US sales team dedicated to our US customers. We continuously improve our websites to make sure you are able to access the information available in the easiest and safest way. ASD Media is managed and was founded by Jol Hoeve, Hans Dijkstra, and Stefan Koopman. Market Forecast provides intelligence studies on the Defense and Aerospace market for private and public sector organizations. Our studies display opportunities to expand in existing markets or to develop new markets and supports you in developing your market strategy. All stakeholders, available products, market requirements and new technologies considered. Market Forecast is a brand of the private owned company ASD Media BV and is located in Amsterdam, The Netherlands, Europe. The company exists for over ten years and has a long experience with market research, computer models, and online products.